I have a weakness for lipsticks especially when the price point is within my budget. I don't have anything against anyone who uses fake products but for me personally, I prefer to use authentic ones. I just want to feel secure with the product that I'm using. As far as I know, Jordana Cosmetics is a US-based company. What I like about them is that they don't test their products on animals (according to their website). 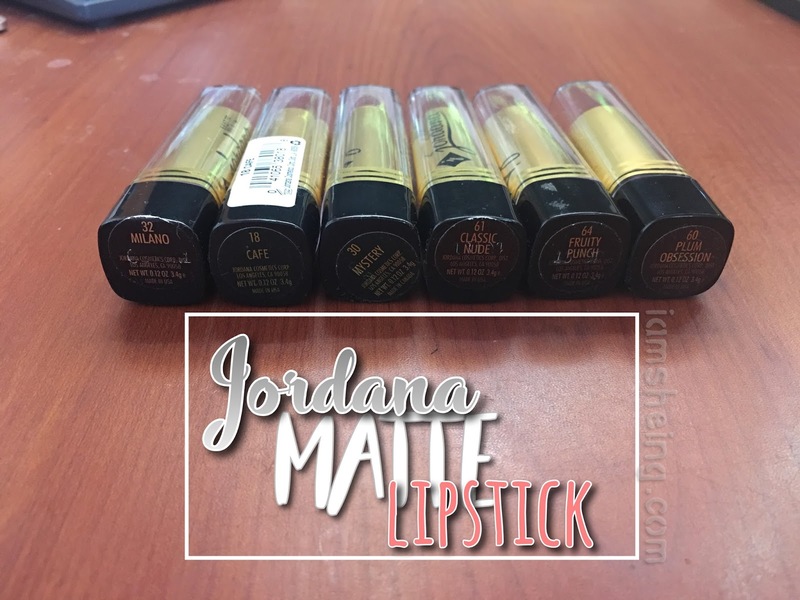 I recently got addicted to shopping online via Shopee and this is where I got my Jordana lippies. I bought 6 shades for less than 100 pesos each. 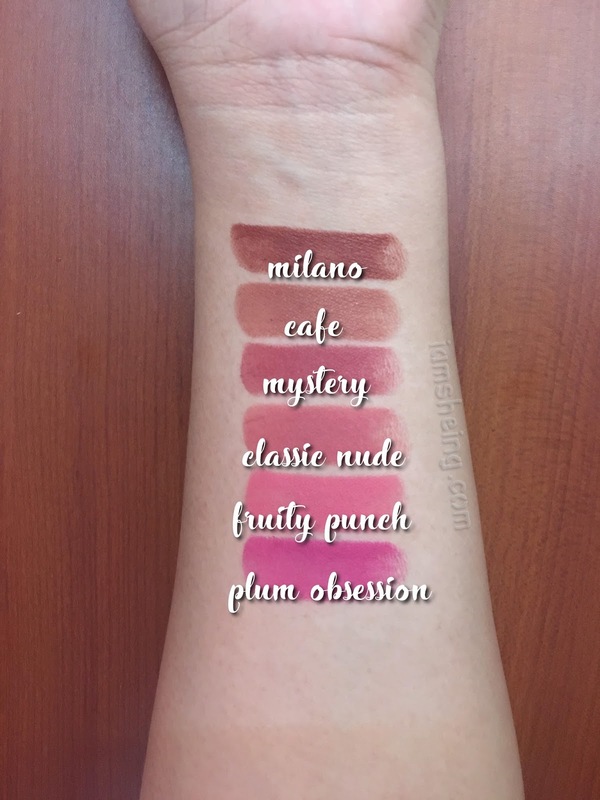 If you want to know where I got this authentic but affordable lipstick, leave a message down the comment section below. Ingredients are not listed in the packaging. I'm not an expert on formulations and stuff but this can be a con to anyone who prefers to have visibility on what's in your lipstick. Not a huge fan of its packaging since it looked outdated and a little too old-fashioned. It also tends to damage the product. However, this is a minor concern and something I can overlook. Overall, with its price, I am satisfied with this product.